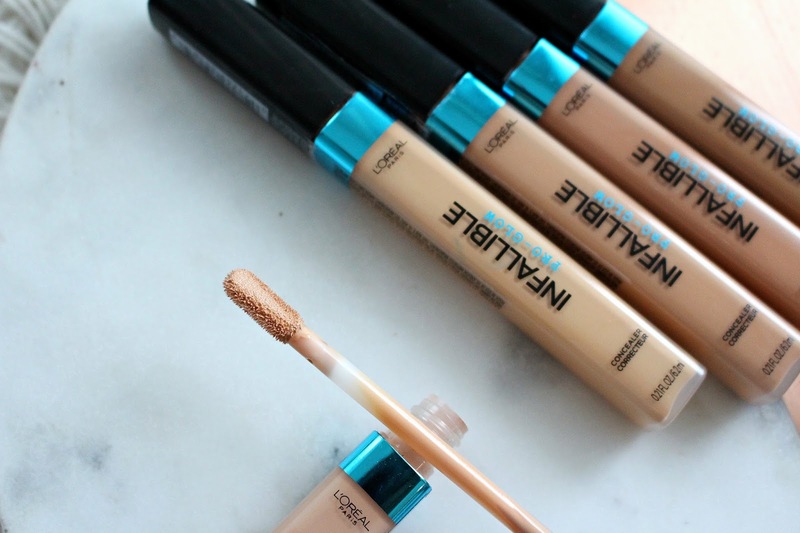 New to L'Oreal is the L'Oreal Pro Glow Concealer! A companion item to the Pro Glow Foundation and Powder. Even though I have oily skin this whole line intrigues me, especially the concealer. I'm a bit of a concealer junkie! 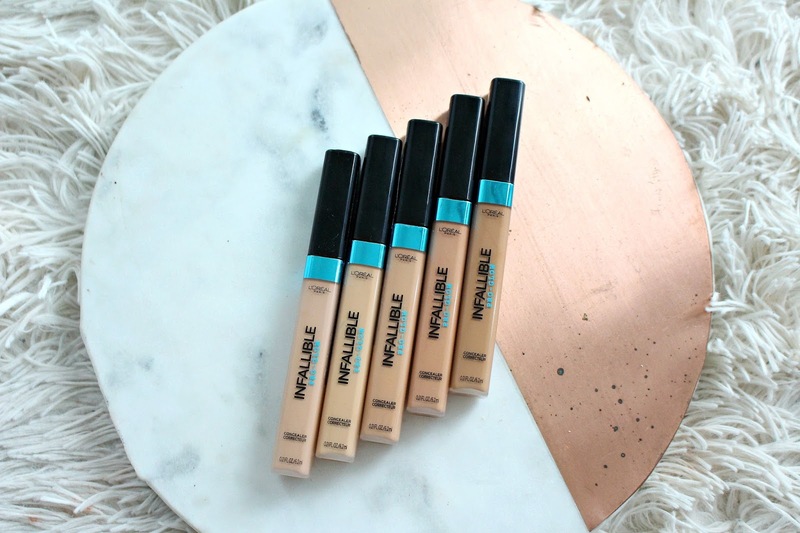 The L'Oreal Pro Glow Concealer retails for around $9.99 USD/$13.99 CAD and there are 8 shades in the range with 0.21oz of product. It's described as having 16 hours of luminous coverage, with a lightweight radiant formula that can conceal, correct and highlight. 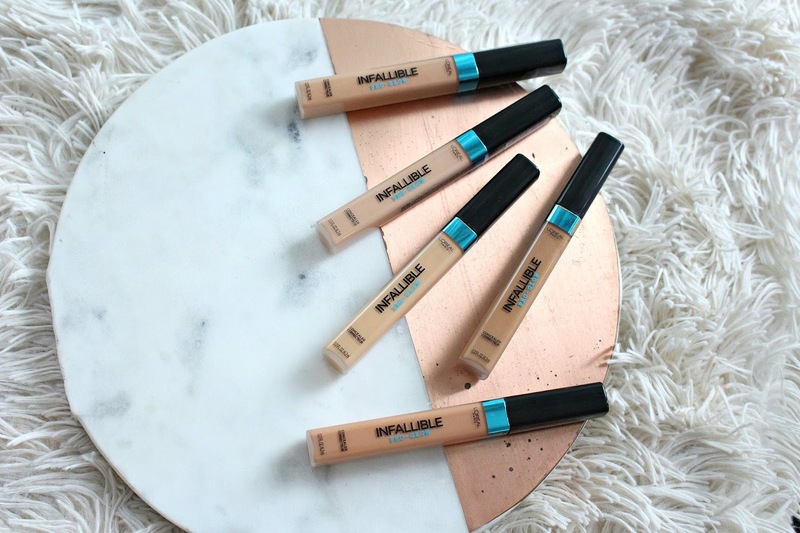 The packaging is quite simple but sleek, with a unique flat applicator that makes it easy to apply. The formula is creamy and thin, if that makes sense. I wouldn't say the coverage is super buildable. I have only worn it a few times so far but in comparison to some of my more truly buildable concealers and it doesn't stand up to that. That being said, I think that's okay! Just depends on what you're looking for. If you're wearing no makeup or a light coverage foundation this could be a great pairing. My preferred method is to apply it and let it sit and set on the skin, then blend out around the edges so not to lose any coverage. I also think this could make a great contouring product if you're looking to add some natural definition back into your skin. I still need to use it more before I have solid opinion. Stay tuned for a full review on the Pro Glow Concealer, Foundation and Powder. *This product was provided for my review, all opinions are my own. Link is affiliate. Does it have illuminosity in it? or shine? I'm thinking it would be great for highlight/contour!